Diminishing returns have yet to affect the Mission: Impossible series. Making its big-screen debut in the mid ’90s, each new instalment has made the most of what contemporary action blockbusters can offer while relying on as few computer generated effects as possible. Fallout has its flaws and is slightly underwhelming, but it all builds up to an immense final action sequence that will leave audiences gob-smacked at the stupendous craft on display. 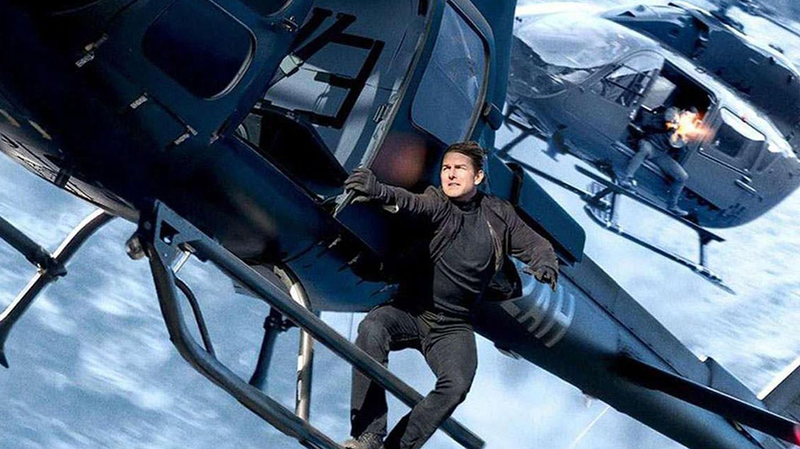 Ethan Hunt (Tom Cruise) is at it again, trying to stop terrorists from blowing up the world as usual, with the trustworthy helping hands of Benji (Simon Pegg) and Luther (Ving Rhames), as well as newcomer August Walker (Henry Cavill). This time they’re tasked with finding three plutonium cores and stopping them from ending up in possession of terrorist group The Apostles. Writer-director Christopher McQuarrie had major success with the series’ previous instalment, Rogue Nation, so being the only director to return to the series shows its ups and downs. As exciting as he can make his action set-pieces, they do feel a little reiterative of the last film. There’s another fast car-chase through the tight picturesque streets of a European city, and although it’s a joy to watch, it just feels like an inferior version of the car-chase in Rogue Nation. But each Mission: Impossible film has one action sequence so stunning, it instantly becomes a classic action movie moment – and they certainly outdid themselves this time. The climatic showdown is an elongated series of heart-clutchingly close-calls and jaw-dropping stunt-work, all revolving around the classic trope of a count-down timer. As hyperbolic as it may sound, this may be one of the most stunning action scenes ever put on the silver screen. Our increasing technology in films can conjure even more on-screen spectacle than before, but this rather CGI-less, in-camera, on-screen display of death-defying stunts is a work of wonder to be a spectator of – this is certainly the kind of blockbuster film that demands as big a screen as possible to really take it all in. It’s a bravado piece of filmmaking that caps off what has already been a rather well executed action film. Fallout is a culmination, or a Greatest Hits, of what has been accomplished in the previous instalments. It’s not an entirely new or fresh entry for the series, but it satisfyingly does what has been done before while retaining just about all the excitement and entertainment.